Because she had never applied for a British passport and had no papers proving she had a right to be in the UK, she was classified as an illegal immigrant. Last October, she was sent to the immigration removal centre at Yarl’s Wood in Bedford for a week, and then taken to Heathrow before deportation to Jamaica, a country she had not visited for 50 years and where she has no surviving relatives. Renford McIntyre has worked in the UK and paid taxes for 48 years, “but in 2014 a request for updated paperwork from his employers revealed he did not have documents showing he had a right to be in the UK. He was sacked; the local council told him he was not eligible for housing support or any benefits, so he became homeless”. There are many more such stories – some of them utterly heartbreaking – of families being torn apart by Home Office officialdom: children being deprived of their parents; grandchildren of their grandparents. There’s bankruptcy, homelessness, destitution and despair, all triggered by letters from the Home Office informing the children of Windrush: “You have NOT been given leave to enter the United Kingdom within the meaning of the Immigration Act 1971”, and so you must either leave voluntarily, or we’ll do it forcibly. What an unutterable disgrace this is from a Conservative Immigration Minister (who professes to be ‘respectful’ of Christian beliefs) who works for a Conservative Home Secretary under the authority of a Conservative (and Christian) Prime Minister, who exhorts the values of love, service and compassion. But the stranger that dwelleth with you shall be unto you as one born among you, and thou shalt love him as thyself; for ye were strangers in the land of Egypt: I am the Lord your God (Lev 19:33f). The treatment of the Windrush children isn’t a left-right issue; it isn’t a black/white issue or a Christian/non-Christian issue. It is actually uniting Socialist and Tory bishops, the Guardian and the Daily Mail, and MPs across the parties. Indeed, the plight of the Windrush children isn’t an issue that ought to cause any division at all, because it is one of natural justice, human compassion and political common sense. What did the Home Office think would happen here? That nobody would care? That bishops wouldn’t demand an amnesty or tweet their dismay? Or that a people’s petition wouldn’t attract more than a few-hundred supporters? What is the point of boasting about our good works overseas when we’re harassing and persecuting our own? Or at least those who think they’re our own. Or thought they were our own. The children of Windrush hail from the British Caribbean in the Commonwealth of Nations. They share our values and respect our traditions, because so many of them are also theirs. They have lived and worked here for decades; they have raised their families here, and forged their friendships here. They are not illegal immigrants, but naturalised Britons. 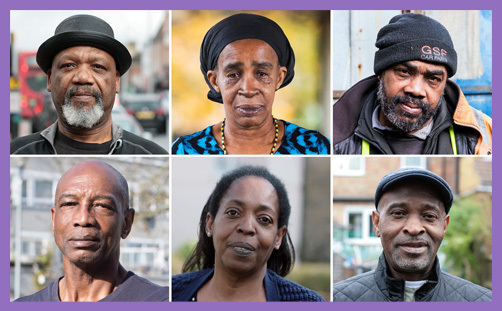 They have never called anywhere else ‘home’ – not Jamaica, Barbados or Antigua; not anywhere but Birmingham, Brixton and Toxteth. They should not be detained or deported, but respected and honoured for the faithfulness and endurance. Windrush children are as British as the Immigration Minister and the Home Secretary: this is their shared identity. One might expect a Christian Prime Minister to understand this. Their treatment shames the nation.